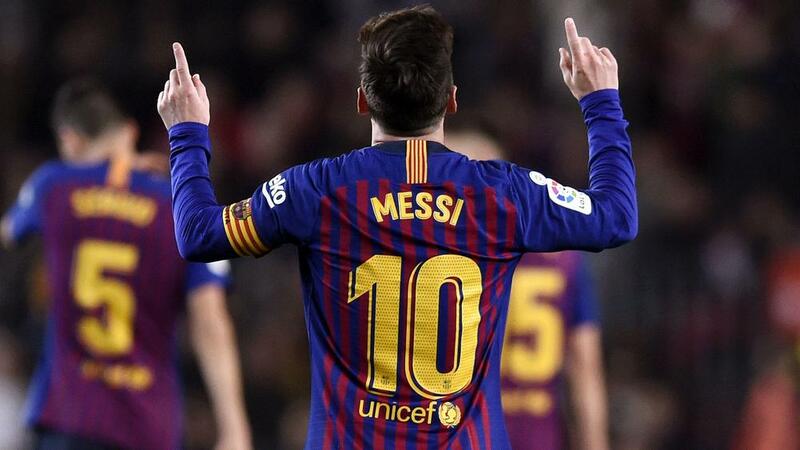 Lionel Messi reached another incredible landmark on Sunday as he scored his 400th LaLiga goal in Barcelona's game against Eibar at Camp Nou. The Argentina international has had a remarkable impact on Spanish football since making his debut in the 2004-05 campaign, and he becomes the first player to reach 400 goals in LaLiga. Having come through Barca's academy ranks and burst on to the scene as a teenager, Messi has gone from strength to strength and enjoyed astonishing levels of consistency in Spanish football. Although his goals grab the headlines, he has shown himself to be so much more than just a goalscorer during his time in Barcelona, with his dribbling, passing and work rate making him arguably the perfect footballer. Much of his career has been dominated by a personal duel with Cristiano Ronaldo during his time with Real Madrid, but Messi's records speak for themselves. 2 – Messi is the second player to score 400 goals in Europe's top five leagues. Ronaldo, who has 409, was first. 1 – Messi is the first player from Europe's big five leagues to reach 400 goals for the same club. 435 – Messi has reached this latest landmark in astonishing time, needing just 435 matches. By comparison, Ronaldo needed another 63 matches to get there. 29 – The Argentinian superstar has scored more LaLiga goals than 29 clubs in the division's history. 56.98 – While Messi's minutes-per-goal ratio of 83 this term is an exceptional record, it is some way off his personal best of 56.98 in the 2012-13 season, when he netted 46 times in 32 LaLiga games. 50 – Messi's best LaLiga season in terms of goals was the 2011-12 campaign, when he found the net 50 times. 31 – His record of 31 hat-tricks (27 trebles and four four-goal hauls) is the second most in LaLiga history. Only Ronaldo (34) managed more. 25 – Messi's favoured opposition in LaLiga in Sevilla, having scored 25 goals against them in 24 matches. In the same amount of games against Real Madrid, he has converted 18 times. 29 – Luis Suarez has set up more of Messi's 400 than anyone else, claiming 29 assists for the Barca talisman. 105 – Messi has a remarkable habit of scoring at decisive moments in games. No fewer than 105 of his goals have come in the final 14 minutes of the match.